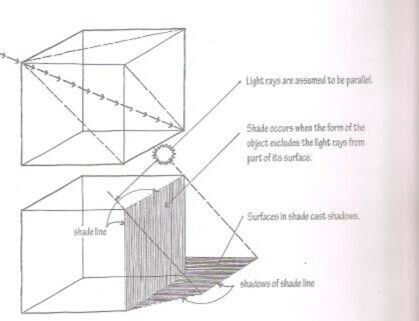 Sciography is the study of shade and shadow in architecture. 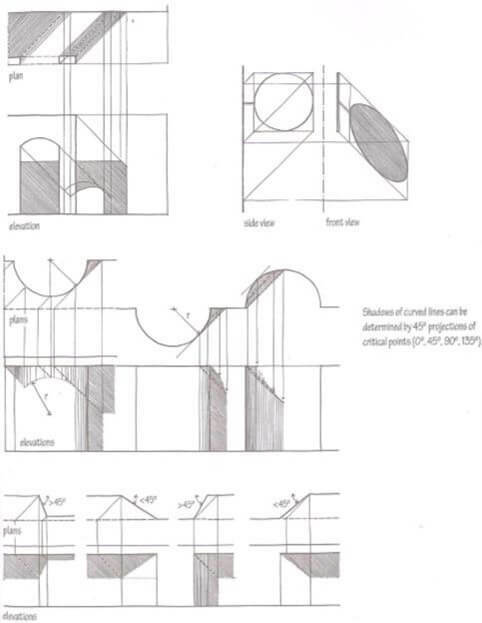 Shade and shadows are used in architectural graphics to make drawings more easily understood by expressing both the third dimension of depth and the form of surfaces, whether flat or rounded, slanted or vertical. The position of the shade line. The form of the surface on which the plane of the shadow falls. Shadows are parallel to the line making the shadow when the line is parallel to the plane receiving the shadow. Break down the complex form into its simplest geometric components. Determine the shadows cast by these components. The overall shadow pattern will be a composite of these shadows. A shadow’s profile is continuous, except where interrupted by a surface in light. A shadow’s profile changes direction with every change in form that receives the shadow. When the observer looks at the end of a straight line so that it is seen as a point, then the shadow cast by that line appears as a straight line, regardless of the form of the surface receiving the shadow. 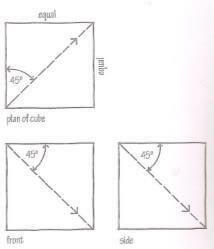 The shadow of any straight line on a plane surface can be located by finding the shadows of the ends of that line. To indicate significant changes in topography. 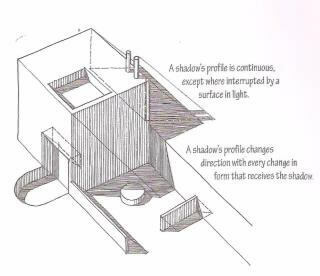 Shadows are used in plan drawings to aid our perception of the depth of the space being portrayed. The intent is not to render the actual condition of sunlight at a specific point in time. The shadows cast by the cut elements and objects within the space merely give us an indication of their height above the floor or ground plane. In section drwaings, shadows are cast by wall, floor and roof elements, which are cut, as well as by projecting elements within the space. 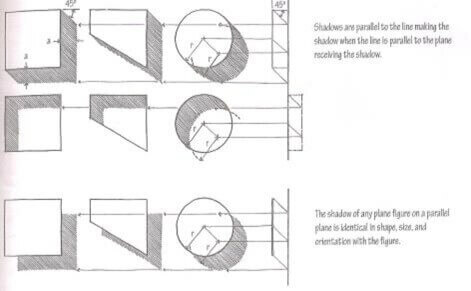 The depth of the shadows cast by the cut elements depend on how far the cut is in front of planes receiving the shadows.